President Trump was famous for his large rallies during his campaign, but one Maine town did not bolster such a big turnout recently. 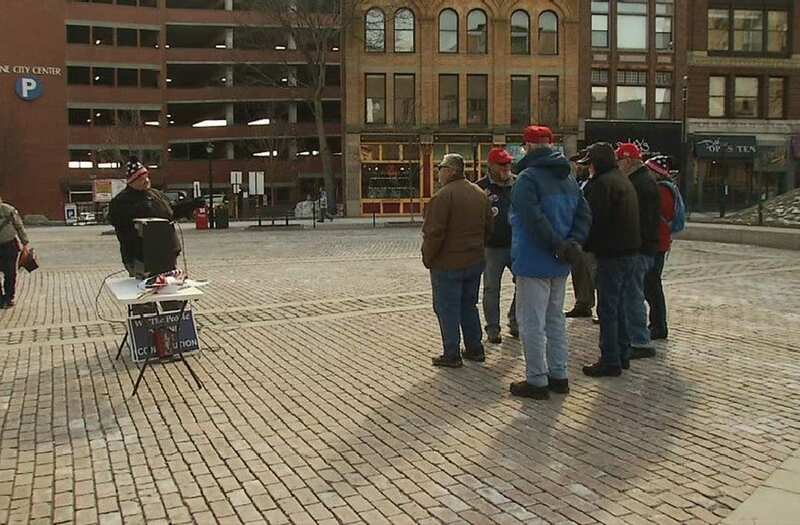 Pro-Trump citizens in Portland, Maine came together in support of the immigration ban. William Hall organized the rally; he and several other supporters gathered in Portland's Monument Square. They believe the immigration ban is best for the country even if they don't agree with everything President Trump has done. "We need to do better background checks on immigrants coming into this country," Hall told local news station WGME. "We have borders for a reason. Having open borders is like having a home without walls, plain and simple." @PressSec announces crowd of 35,000 at huge Portland Maine Trump Rally, best crowd ever. Protests against the ban continue throughout the country. On Friday, federal district Judge James Robart instated a nationwide order to lift the ban.